Gold futures held gains in Asian hours on Wednesday as market participants awaited a meeting between US Secretary of State Rex Tillerson and Russian Foreign Minister Sergei Lavrov later in the day, while also keeping an eye on increasing tensions with North Korea. Traders continued to bet on long positions after President Donald Trump said the US is ready to “solve the problem”, referring to the repeated missile and nuclear tests from Pyongyang. Trump also said that it could use China’s help, but that it can easily go all alone on the mission. The precious metal benefits from contexts of high uncertainty, as players seek for protection against unexpected geopolitical changes that weigh financial markets. On the Comex division of the New York Mercantile Exchange, gold for June delivery was up by 0.24 at $1277.30 a troy ounce as of 05:50 GMT. Investors are also trying to understand the Federal Reserve intentions regarding the future of monetary policy. On Monday, Fed Chairwoman Janet Yellen said the regulator will continue to increase its short-term benchmark rate gradually if economic data supported such decision. Investors are currently pricing in a 59 percent chance of a rate hike in June, according to CME Group’s FedWatch tool. Political affairs are currently weighing strongly on market sentiment. Bullion prices were also backed by a recent poll in Francia showing that far-right presidential candidate Marine Le Pen still has chances to win in the second round. First vote is programmed for April 23. Oil prices moved higher in early trading on Wednesday on optimism over OPEC output cuts extension and as API data reported an unexpected drawdown in US crude stockpiles. 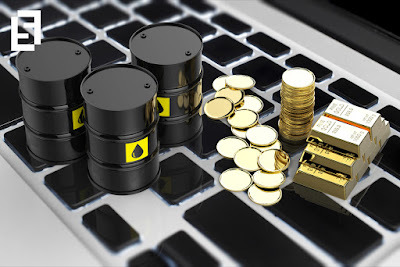 US West Texas Intermediate oil futures traded at $53.53 a barrel on the New York Mercantile Exchange, up 0.24 percent from its prior settlement. The international Brent crude oil futures grew 0.30 percent to trade at $56.40 a barrel as of 05:50 GMT. The American Petroleum Institute said crude reserves came down by 1.3 million barrels in the week ended April 7, while analysts expected a 316,000 barrels increase. Gasoline and distillates declined by 3.7 million barrels and 1.6 million barrels respectively, with both categories coming above forecasts. The US Energy Information Administration will release its official weekly inventories on crude and refined products as of 14:30 GMT, with analysts expecting to see a 87,000 barrels build. Crude prices settled higher on Tuesday as reports showed Saudi Arabia, OPEC’s de facto leader, was lobbying members of the oil cartel to extend production cuts for another semester. According to OPEC officials, the final decision will be taken on May, when the oil group and other independent producers gather to evaluate performance of the first agreement. OPEC and non-OPEC countries agreed to cut 1.8 million barrels per day from global production in the first six months of 2017 in order to boost prices and rebalance crude supply. So far, Russia has not given any signals of whether it intends to extend its commitment.